Lincolnshire ( /ˈlɪŋkənʃər/ or /ˈlɪŋkənʃɪər/; abbreviated Lincs) is a historical county in the east of England. It borders Norfolk to the south east, Cambridgeshire to the south, Rutland to the south west, Leicestershire and Nottinghamshire to the west, South Yorkshire to the northwest, and the East Riding of Yorkshire to the north. It also borders Northamptonshire in the south for just 20 yards (18 m), England's shortest county boundary. The county town is Lincoln, where the county council has its headquarters. Mechanisation around the turn of the 20th century greatly diminished the number of workers required to operate the county's relatively large farms, and the proportion of workers in the agricultural sector dropped substantially during this period. Several major engineering companies developed in Lincoln, Gainsborough and Grantham to support those changes, perhaps most famously Fosters of Lincoln, who built the first tank, and Richard Hornsby & Sons of Grantham. Most such companies are long gone, and Lincolnshire is no longer an engineering centre. The Conservative Party won 9 seats in the 2010 general election and clearly became the largest party in Lincolnshire, considerably increasing their vote share at the expense of Labour, the most high profile casualty being Gillian Merron who lost her long serving Lincoln constituency. UKIP were initially the opposition party with 16 councillors, but now have only 10 after the others broke away to form a new party, UKIP Lincolnshire. They are currently looking at changing their name to remove the 'UKIP' reference altogether. The AV referendum was the first to be held within Lincolnshire since the 1975 EC referendum and was only the second time ever that the people of Lincolnshire have been asked to vote in a referendum. The referendum asked voters whether to replace the present "first-past-the-post" (simple plurality) system with the "alternative vote" (AV) method for electing MPs to the House of Commons in future general elections. The proposal to introduce AV was overwhelmingly rejected by voters with all eight counting areas within Lincolnshire returning significant "no" votes. Lincolnshire is one of the few counties within the UK that still uses the Eleven plus to decide who may attend grammar school. As a result, many towns in Lincolnshire have both a grammar school and a secondary modern school. Lincolnshire's rural character means that some larger villages also have primary schools and are served by buses to nearby high schools. Lincoln itself, however, is primarily non-selective, as is the area within a radius of about seven miles. Within this area, almost all children attend comprehensive schools, though it is still possible to opt into the Eleven plus system. This gives rise to the unusual result that those who pass the Eleven plus can attend a Grammar School outside the Lincoln Comprehensive area, but those who do not pass still attend a non-selective Comprehensive school. The low population density of the county means that the number of railway stations and train services is very low in comparison to the county's large area. Many of the county's railway stations were permanently closed following the Beeching Report of 1963. The most notable re-opening has been the line and two stations between Lincoln and Sleaford which re-opened within months of the Beeching closure. Most other closed lines within the county were long ago lifted and much of the trackbed has returned to agricultural use. A daily through train service operated between Cleethorpes and London King's Cross via Grimsby , Market Rasen and Lincoln Central until the late 1980s. The Humberlincs Executive as the service was known was operated by a HST125 unit but was discontinued following the electrification of the East Coast Main Line. Passengers now have to change trains at Newark when travelling to and from London. However, the East Coast Main Line passes through the county and one can catch direct trains to London. A proposed 2 hourly service promised by National Express East Coast (who lost the franchise on 13 November 2009) between Lincoln and Kings Cross has yet to start running, though was promised to start running by 2010. Most rail services are currently provided by East Midlands Trains and Northern Rail. Virgin Trains East Coast and Cross Country Trains have services which pass through the county, with Virgin Trains East coast frequently passing and stopping at Grantham on the East Coast Main Line and a daily return train to Lincoln which is at the end of the branch line, while Cross country trains stop at Stamford on their way between Birmingham and Stansted Airport. Stations along the Humber are served by First TransPennine Express services between Manchester Airport and Cleethorpes. Lincolnshire boasts one of the most infrequent services in the UK. Services on the Sheffield-Gainsborough Central-Cleethorpes line sees trains only on a Saturday with three trains in both directions. This line is, however, used for freight. Calls have been made to re-introduce an hourly service on the line. As of 22 May 2011 Virgin Trains East Coast have started running a Lincoln-London service. One train travels both ways each day, and a north bound service is there on a Sunday. East Midlands Trains also run a daily (Mon-Sat) service each way between Lincoln and London St Pancras, though the service is more a stopping service and takes around 3 hours via Nottingham, compared to Virgin Trains East Coast's service to London Kings Cross which takes around 1h 50 minutes. The county's biggest bus companies are Stagecoach Grimsby-Cleethorpes (formerly Grimsby-Cleethorpes Transport) and Stagecoach in Lincolnshire, (formerly Lincolnshire Road Car). Several other small companies also operate including Delaine of Bourne and Hornsby's of Scunthorpe. The non-metropolitan county of Lincolnshire is characterised by the absence of any major urban areas, apart from the areas in and around Lincoln and Boston. However, the Skegness, Ingoldmells and Chapel St Leonards areas (and to a lesser extent the Sutton-on-Sea and Mablethorpe areas) along the Lincolnshire Coast are becoming increasingly urbanised as people holiday at large caravan sites during the summer months. These holidaymakers are not reflected in census or local population figures, though it is estimated that during the height of the summer months there are over 100,000 such people residing in these areas along the Lincolnshire Coast. This has an appreciable impact on the local infrastructure and amenities. Recently, the county has also witnessed a growing trend towards immigration of retired people from other parts of the United Kingdom, particularly those from the southern counties of England attracted by the generally lower property prices and the slower and more relaxed pace of life. The relatively high proportion of elderly and retired people is reflected in many of the services, activities and events. Sleaford is considered one of the fastest growing towns in the East Midlands, with many professional people moving there to benefit from (relatively) low house prices, average crime rate and the selective education offered. Those born in Lincolnshire are sometimes given the nickname of Yellowbellies (often spelt "Yeller Bellies", to reflect the pronunciation of the phrase by the typical Lincolnshire farmer). The origin of this term is debated, but is most commonly believed to derive from the uniform of the 10th Regiment of Foot (later the Lincolnshire Regiment) which featured yellow facing. For this reason, the coat of arms of Lincolnshire County Council is supported by two officers of the regiment. Craft Chocalatiers can be found throughout the county, such as Hansens in Folkingham. In 2013 Redstar Chocolate's Duffy's Venezuela Ocumare Milk won a Gold medal as best bean-to-bar. The factory is in Cleethorpes. The main sports played in the county are football, cricket and rugby union. Lincolnshire does not have high sporting profile, mainly due to the lack of facilities. Probably the most well known sporting venue in Lincolnshire is Cadwell Park near Louth, where a round of the British Motorbike Championship is held on the last Monday of August every year. One team from Lincolnshire plays in the Football League: Scunthorpe United play in Football League One. In non-league football both Lincoln City and Grimsby Town play in the Conference National, whilst Boston United and Gainsborough Trinity play in the Football Conference North. In hockey Lincoln Hockey Club play in the North of Lincoln. Lincolnshire is home to the UK roller derby team the Lincolnshire Bombers Roller Girls, who are sponsored by Motorhead. ^ "Lincolnshire County Council". Thebythams.org.uk. 24 October 2005. http://www.thebythams.org.uk/localgovernment/lincolnshire-cc/index.html. Retrieved 29 June 2010. ^ "Potato Council Sutton Bridge Crop Storage Research (CSR) facility". Potato.org.uk. 12 September 2012. http://www.potato.org.uk/crop-storage/about-sutton-bridge-csr. Retrieved 2 April 2013. ^ "UPDATED: Fenland Foods workers to protest – Features". Grantham Journal. 13 May 2008. http://www.granthamjournal.co.uk/news/UPDATED-Fenland-Foods-workers-to.4075959.jp. Retrieved 29 June 2010. ^ Why did voters turn to Ukip in parts of true blue Lincolnshire?. Telegraph. Retrieved on 17 July 2013. ^ "Town centres data from 2000". Archived from the original on 9 March 2005. http://web.archive.org/web/20050309200421/http://www.iggi.gov.uk/towncent/2000/towncentres.txt. Retrieved 2 April 2013. ^ "Home". Hornsbytravel.co.uk. http://www.hornsbytravel.co.uk/index.htm. Retrieved 2 April 2013. ^ "Sustrans Lincolnshire". Sustrans.org.uk. Archived from the original on 8 March 2013. https://web.archive.org/20130308043023/http://www.sustrans.org.uk/sustrans-near-you/midlands/465. Retrieved 2 April 2013. ^ "United Lincolnshire Hospitals NHS Trust Website – Home". Ulh.nhs.uk. http://www.ulh.nhs.uk/. Retrieved 2 April 2013. ^ Map of Lincolnshire IDBs Archived June 22, 2009 at the Wayback Machine. ^ "Mobile Libraries". Lincolnshire County Council. http://www.lincolnshire.gov.uk/residents/discover-libraries/mobile-libraries/. Retrieved 22 November 2013. "Wherever you live in Lincolnshire, whether in the countryside of the Wolds or Fens, the Coastal area or even on the edge of a town, a Mobile Library will stop nearby." ^ "Lincolnshire Sayings and Traditions". Rootsweb.ancestry.com. http://www.rootsweb.ancestry.com/~englin/sayings.htm. Retrieved 2 April 2013. ^ "Civic Heraldry visited 22 December 2006". Civicheraldry.co.uk. http://www.civicheraldry.co.uk/lincs.html. Retrieved 2 April 2013. ^  Archived March 13, 2007 at the Wayback Machine. 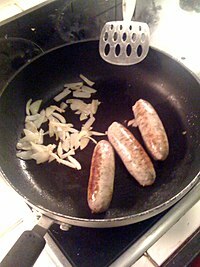 ^ a b c d "Lincolnshire's Dishes". Portsmouth Evening News. 5 November 1937. http://www.britishnewspaperarchive.co.uk/viewer/bl/0000290/19371105/153/0010. Retrieved 15 February 2015. ^ Elliott, Valerie (17 November 2009). "Traditional Grimsby Smoked Fish is granted European PGI status". The Times (London). http://www.timesonline.co.uk/tol/life_and_style/food_and_drink/article6919386.ece. ^ "Chocolatier in Louth". http://www.thelittlechocolatier.co.uk/. Retrieved 7 July 2013. ^ Bingham, Caroline (November 2012). "Chocolatier in Willingham". Lincolnshire Life. http://www.lincolnshirelife.co.uk/posts/view/chocolate-the-special-edition-super-food. Retrieved 7 July 2013. ^ "chocolatier in Skegness". http://www.tripadvisor.co.uk/Restaurant_Review-g190733-d2691012-Reviews-Hames_Chocolate_Cafe-Skegness_Lincolnshire_England.html. Retrieved 7 July 2013. ^ "Hansen's chocolate house". http://www.mrchocolate.co.uk/. Retrieved 7 July 2013. ^ "Hansen's Chocolate House, Folkingham, Lincolnshire". Explore Lincolnshire. http://www.explorelincolnshire.co.uk/things-to-do/hansens-chocolate-house-folkingham-35727.html. Retrieved 7 July 2013. ^ "Best Milk Chocolate Bean-To-Bar". 2013 awards. Academy of Chocolate. http://www.academyofchocolate.org.uk/awards-2013/. Retrieved 7 July 2013. ^ Williams, Holly (7 July 2013). "Best of British". Independent. http://www.independent.co.uk/travel/uk/best-of-british-the-best-hotel-campsite-cheese-zoo-beach-beer-and-dozens-more-8690942.html. Retrieved 7 July 2013. ^ "Red Star Chocolate". http://www.duffyschocolate.co.uk/. Retrieved 7 July 2013. ^ "Lincolnshire Events Centre". Lincolnshire Showground. http://www.lincolnshireshowground.co.uk. Retrieved 29 June 2010. ^ "The Largest Village Show in England". Heckingtonshow.org.uk. http://www.heckingtonshow.org.uk/. Retrieved 29 June 2010. ^ "Corby Glen Sheep Fair Gallery". Corbyglen.com. http://www.corbyglen.com/sheepfair/gallery.html. Retrieved 29 June 2010. ^ "RAF Red Arrows – Home". Raf.mod.uk. 11 January 2010. http://www.raf.mod.uk/reds/. Retrieved 29 June 2010. ^ "The White Bread Meadow". Homepages.which.net. http://homepages.which.net/~rex/bourne/wbmeadow.htm. Retrieved 29 June 2010. ^ "Stamford Shakespeare Company". Stamfordshakespeare.co.uk. http://www.stamfordshakespeare.co.uk/. Retrieved 29 June 2010. ^ Play-Sport New Media (13 June 2002). "Play-Cricket the ECB Cricket Network". Lincscb.play-cricket.com. http://lincscb.play-cricket.com/. Retrieved 29 June 2010. ^ "Now sponsored by MOTÖRHEAD! – Lincolnshire Bombers:". Lincolnshire Bombers' News forum. 1 April 2009. Archived from the original on 14 May 2010. https://web.archive.org/20100514125011/http://lincolnshire-bombers.com:80/sponsorship_motorhead.htm. Retrieved 11 January 2010. ^ "New county flag design unveiled". BBC News. 24 October 2005. http://news.bbc.co.uk/2/hi/uk_news/england/lincolnshire/4371070.stm. Retrieved 15 February 2010. ^ "Lincolnshire flag at the self-appointed flag registry". http://www.flaginstitute.org/index.php?location=10&flagtype=county&flagid=112. ^ Santos, Cory (19 April 2013). "Tracking the mysterious origins of the Lincoln Imp". The Lincolnite. http://thelincolnite.co.uk/2013/04/the-mysterious-origins-of-the-lincoln-imp/. Retrieved 7 July 2013. 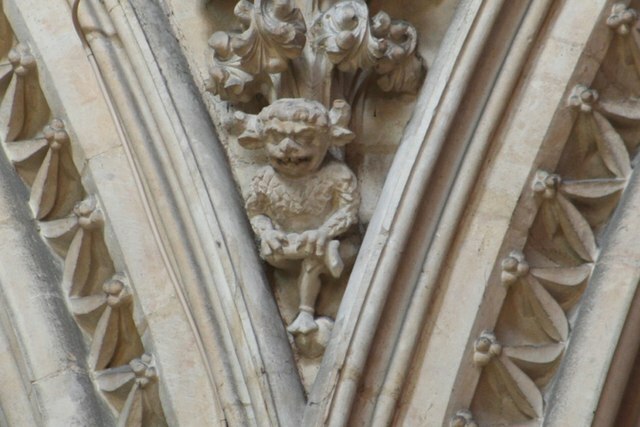 "the imp has come to represent Lincoln as its mischievous mascot." ^ Williams, Phil (16 December 2011). "A History of the Lincoln Imp". Lincoln Cathedral. http://lincolncathedral.com/2011/12/a-history-of-the-lincoln-imp/. Retrieved 7 July 2013. "Lincoln's imp is a well known emblem of the Cathedral and the city, to the extent it has been adopted as the symbol of Lincoln"
^ Map of area served by the Waltham UHF analogue TV transmitter Archived June 11, 2009 at the Wayback Machine. ^ Map of area served by the Belmont UHF TV transmitter Archived June 9, 2009 at the Wayback Machine. ^ Map of area served by the Sandy Heath UHF analogue TV transmitter Archived June 4, 2009 at the Wayback Machine. Foster, C. W.; Longley, Thomas, eds (1924). The Lincolnshire Domesday and Lindsey Survey. Annual works of the society. 19. Horncastle: Lincoln Record Society. This page uses content from the English language Wikipedia. The original content was at Lincolnshire. The list of authors can be seen in the page history. As with this Familypedia wiki, the content of Wikipedia is available under the Creative Commons License.